Florida Senator Marco Rubio will next month speak at an event alongside numerous anti-LGBT activists. Earlier this month, LGBT rights activists protested outside Rubio's office as he held a press conference to discuss the economic impact of the shooting. 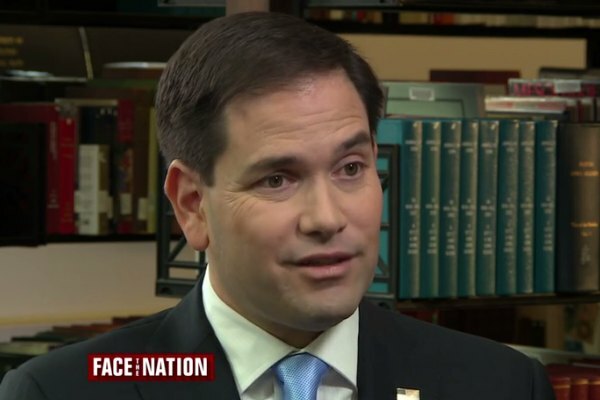 When confronted by one of the protesters, Rubio reiterated his opposition to marriage rights for gay and lesbian couples. Next month's two-day event, to be held in Orlando, is sponsored by The Florida Renewal Project and is part of the conservative group's “Rediscovering God” campaign. In addition to Rubio, speakers at the conference include Mat Staver of Liberty Counsel, David Lane of the American Renewal Project, self-described historian David Barton, Pastor Ken Graves and Religious Right activist Bill Federer, all of whom strongly oppose LGBT rights. Staver and his group are best known for representing Kentucky clerk Kim Davis in her legal attempt to block her office from issuing marriage licenses to gay couples after the Supreme Court's 2015 ruling that ushered in nationwide marriage equality.